Automotive designing is a creative field with a limited source to gain knowledge, there are only a few institutions for bachelors and masters degree in India. Following are the most popular Automotive Design Colleges in India. The National Institute of Design (NID) stands as the most popular institute in the country that offers various courses related to design. The campuses of NID are spread across the country in places such as Ahmedabad, Gandhinagar, and Bangalore. It offers both undergraduate and postgraduate diploma courses in design and their annual fee is about 2,62,800. More than just a school, Strate is a project fostered by a human community. The designer`s values of benevolence, empathy, attention, and mutual assistance structure the lives of the school`s denizens. Students, teachers, and staff endeavor every day to remain true to these principles and to put them into practice. Strate is also a place open to the outside world and per year fees go up to INR 7,50,000 per annum. They have collaboration with Jain University, so if you are part of five years course and complete the course successfully you will get two degrees at the same time. BSc in Design from Jain (Deemed-to-be) University and an equivalent Master’s diploma i.e. “Mastere in Design” with RNCP credits from Strate School of Design, Paris. This institute was established in 2006 by MAEER's (Maharashtra Academy of Engineering & Education Research). It offers both undergraduate and postgraduate programs. The most popular courses are Transportation design, graphic design, and communication design and per year fees go up to INR 3,87,000. The Industrial Design Centre (IDC) was established in 1969. It also offers both undergraduate and postgraduate courses in design. 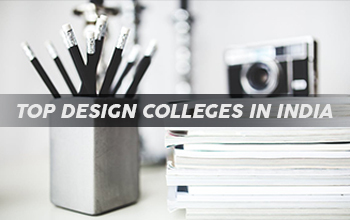 The top most popular design courses are industrial design and vehicle design and interaction design per year fees go up to INR 82,000 for 2 years. DYPDC Center for Automotive Research and Studies is an undergraduate and postgraduate school in automotive styling based in Pune, Maharashtra, India. DYPDC is a collaboration between the D.Y. Patil group and Dilip Chhabria, the iconic automobile designer and per year fees go up to 20 Lakh for 4 years. DSK Group is a business conglomerate headquartered in Pune. DSK International School of Design is one of the eminent colleges in India, situated in Pune, Maharashtra, for the studies of Industrial Designing. It is one of the few institute in the country where the Indian and the European co-exist together. The international standards are maintained while teaching the students per year fees goes up to INR 6,60,000. Unitedworld Institute of Design (UID) is one of the premier Design colleges of India. It offers a degree course in Bachelor of Design (B.Des.) and Master of Design (M.Des.) UID is affiliated to Karnavati University and is a member of CUMULUS (International Association of Universities and Colleges of Art, Design, and Media). And the World Design Organization (WDO) and their fee is about 16 Lakh for 4 Years. Srishti Institute of Art, Design, and Technology is a non-residential institution founded in 1996 by the Ujwal Trust with the objective of providing art and design education in an environment of creativity to maximize the individual’s potential. Their fee is about 5,20,000 per year. IIAD was established in 2014 with the collaboration of Kingston University in London. The most popular design courses are BA (Hons) in fashion design, communication design, and interior architecture and design and per year fees go up to INR 4,33,060.